Southern Rockies Nature Blog: Do I Have to Throw Away My Ducks Unlimited Shirts Now? Do I Have to Throw Away My Ducks Unlimited Shirts Now? Back in the late 1980s and 1990s, I had fantasies of being an outdoor/nature writer. I published articles, had a newspaper column for a couple of years, and spent a year on the staff of the late and unlamented Colorado Outdoor Journal. And I got to know a lot of writers. I still do some freelancing, but mostly in other areas now — except this blog (which would qualify me for membership in the Outdoor Writers Assn. of America, if I wanted to go back). If there is anything writers like to talk about, it is their shabby treatment by editors, publishers and producers. Everyone has stories of producing work and then being stiffed on payment. So when I read Steve Bodio's account of Ducks Unlimited not only firing contributing editor E. Donnall Thomas, Jr., better known as Don Thomas — but also scrubbing all of his previous work from the DU website, making him into a "nonperson" as much as they could, I boiled. "In October, 2015 I wrote a piece for Outside Bozeman magazine, "A Rift Runs Through It", about the long Montana legal battle to secure and maintain public access to the Ruby River in accordance with the state’s stream access law. . . .To summarize a complex issue for those unfamiliar with the case, wealthy Atlanta businessman James Cox Kennedy engaged in extensive litigation to prevent such access, only to be denied repeatedly in court due to the efforts of the Montana Public Land and Water Access Association. While the article was not complimentary to Kennedy, no one has challenged the accuracy of the reporting. James Cox Kennedy is a major financial contributor to Ducks Unlimited. On November 10, a Ducks Unlimited functionary informed me that my position with the magazine was terminated because of Cox’s displeasure with the article. ... 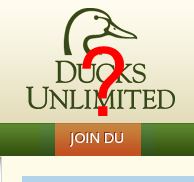 The Ruby River article had nothing whatsoever to do with ducks or Ducks Unlimited (DU hereafter). The article did strongly support the rights of hunters and other outdoor recreationists to enjoy land and water to which they are entitled to access, and DU is a hunters’ organization... DU has essentially taken the position that wealthy donors matter more than the outdoor recreationists they purport to represent. As I said, I boiled. I fired off a set of letters to Ducks Unlimited president Paul R. Bonderson, Jr., and to CEO Dale Hall. I delayed writing this blog post for a while to see if I got a response, maybe a form letter from the office intern, whatever. Nada. I have served on the board of a state-level conservation group, and I know nonprofits often get most of their cash from a few big donors, who outweigh the dues and small gifts of us average members putting in $35 a year for dues and also responding to certain appeals. But, I wrote to them, it is those thousands of average members, if properly used, who give the organization its political leverage. And although I have been a member for close to thirty years, I suggested that in the future James Cox Kennedy could cover my dues and gifts. Charity Navigator, which tracks nonprofits and how they spend their money, gives Ducks Unlimited three stars out of four overall, with a score of 74.49 out of 100 on "financial" and a 96 on "transparency." According to DU's reports, fundraising and administrative costs take 23.6 percent of all income, with the rest going to programs. That's not bad. It is when over half goes to fundraising and administrative salaries that you want to back off. Membership dues raised $19.4 million in fiscal year 2014, fundraising (all those banquets) raised $24.6 million, and contributions and grants accounted for $28.35 million. I am conflicted about this decision, and yes, I even wondered if I should keep wearing the stuff that DU sends as gift-appeal premiums. That's a pretty nice fleece vest, for instance, and I like it, even with the logo on the front. I thought about how I had defended giving to the Salvation Army to a friend who advised against it because the SA was not, in her opinion, friendly enough to the LGBT population. "Who else does a better job and ticks off all the correct political boxes," I asked rhetorically. Who else does more for duck research and habitat? Who else screws over writers so blatantly? Maybe DU, like many nonprofits before it, has gotten too big, too clubby, too established. Their treatment of Don Thomas is an awfully big straw in the wind, an indicator of their corporate mindset. You wonder what else is going on if they are that sensitive about a perceived insult to one of the insiders. You can only teach people with your wallet, your feet, your hands, and your mouth. Keep your wallet in your pocket, walk away, and let them know why.